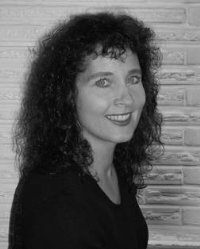 Megan Chance is a critically acclaimed, award-winning author of historical fiction. Her novels have been chosen for the Borders Original Voices and IndieBound’s Booksense programs. A former television news photographer and graduate of Western Washington University, Chance lives in the Pacific Northwest with her husband and two daughters. 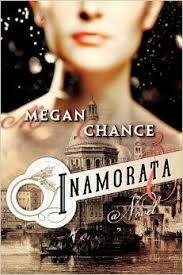 Inamorata is exactly the kind of novel I generally really love, historical, but in a period not too far from our own, lots of art and music, romance and intrigue, but for some reason I had a difficult time getting into it, re-reading the prologue several times. Finally, things began to click and I fell into the story I’d been anticipating. Love, scandal, personal and political machinations abound, and the twins, Joseph and Sophie, are catalysts for all of it, while Odile and Nicholas give us the most compelling characters, at least in my opinion. All the characters circle around each other, though, and just as in real life, none of them are truly heroes or truly villains, though Nicholas is the primary antagonist. I liked that author Megan Chance didn’t give us entire backstories for these people, instead letting us come to know them slowly, both in their novel-present self-assertions, and in the flashbacks that revealed their histories, slowly, the way you learn about actual people…one glimpse at a time. I also really liked the author’s choice of Venice as a setting, rather than, Paris, London, or Rome. Venice is such a magical place all on its own, and adding these characters – especially Odile – to that city was completely inspired. And that’s what Inamorata is really about – inspiration, where we find it, what we do with it, and who we use in the process. Goes well with Buttery rosemary roast chicken, and a glass of chardonnay.